There’s something special about getting in your car, rolling the windows down and hitting the open road. 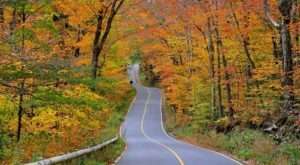 If you’re looking for a fantastically scenic drive in Massachusetts, you can’t go wrong cruising down any of these beautiful roads and highways. This byway is just under 17 miles from end to end. It offers some of the most spectacular country views in the state. 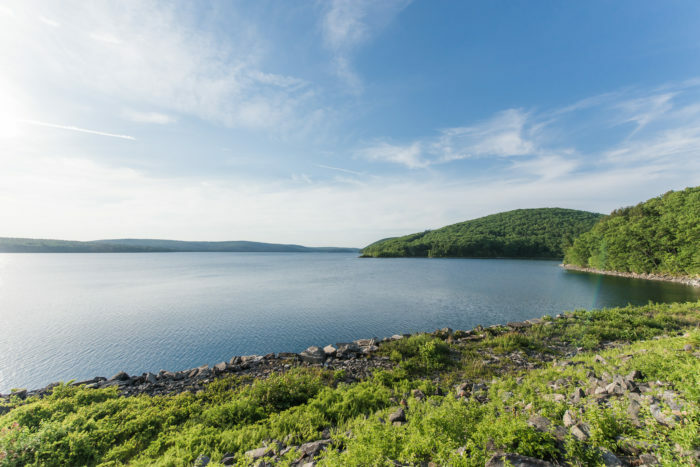 With tall trees flanking the road, scenic overlooks and a winding route that will take you through some killer landscapes, you'll want to turn right around and drive back the same way. Starting in Braintree and finishing up in Milton, this road is just about six miles long and packed with beautiful scenery. 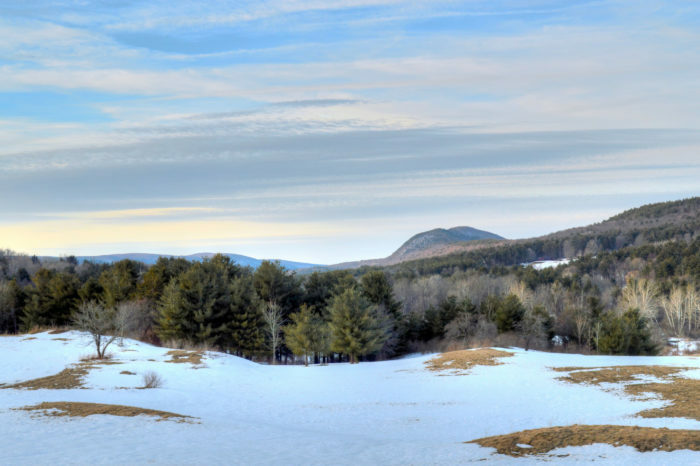 It’s a lovely drive in all seasons and will take you past attractions like the Blue Hills Trailside Museum, where you can hang out with local animals and learn about the area. Chickatawbut Road will also treat you to amazing views of Tom Ball Mountain. This gorgeous drive will drop you off right back where you started. 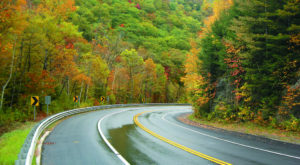 Starting and ending in New Salem and running 57 miles through the Central Hills region, this is a great road to travel in the spring and fall. The stunning green of the hills in spring is so uplifting, and the autumn foliage is unrivaled. Stop off at Hamilton Orchards to gather up your own fresh fruit for the road. If you’re in the mood for a long drive, (think 274 miles) this is the perfect path. 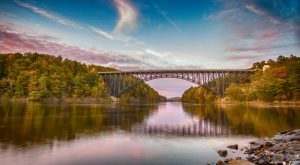 This byway will take you along the Connecticut River and past eye-catching landmarks like the French King Bridge and the Summit House on Mount Holyoke. 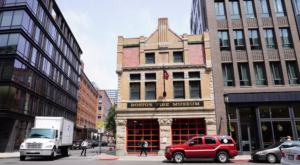 This area is the most agriculturally fertile in New England, so be prepared to pull over and admire views of rolling farmland and apple orchards. 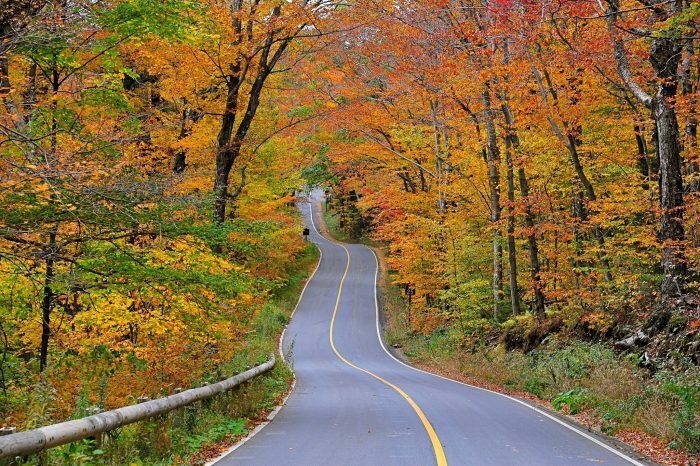 Drive the length of Cape Cod on this beautiful road. Though it’s called a highway, this route is better known as Route 6A and any local can tell you it’s one of the most lovely ways to get from Sandwich to Provincetown. 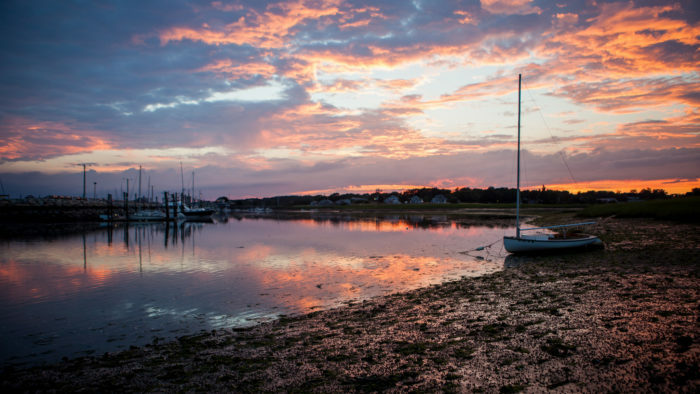 You’ll pass old colonial homes, charming gardens, quiet harbors and plenty of ice cream shops. Drive right through the middle of the Berkshires on this gorgeous road. 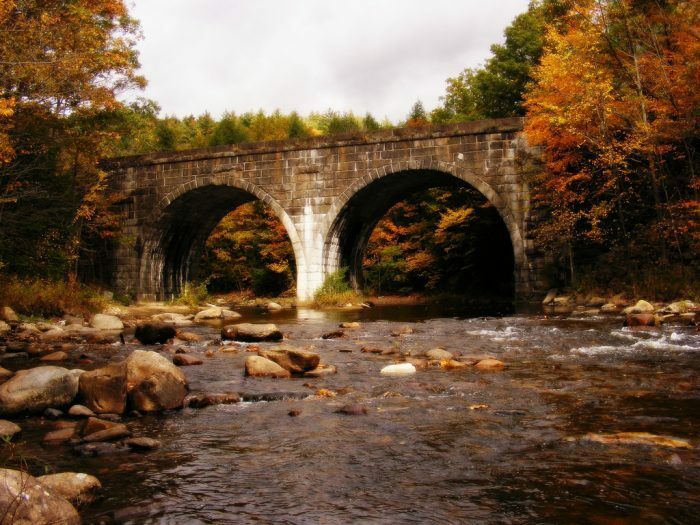 You’ll be treated to sites like roadside streams, forests and dramatic overlooks. 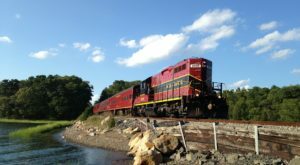 If you feel like getting out and stretching your legs, spots like the historic village of Deerfield and the Ashuwillticook Rail Trail are within reach. 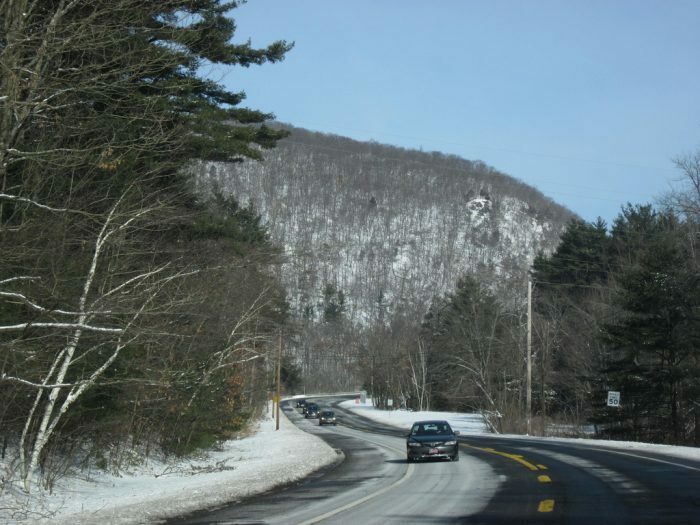 Also known as Route 20, this 33-mile road is a great option for a leisurely drive in any season. 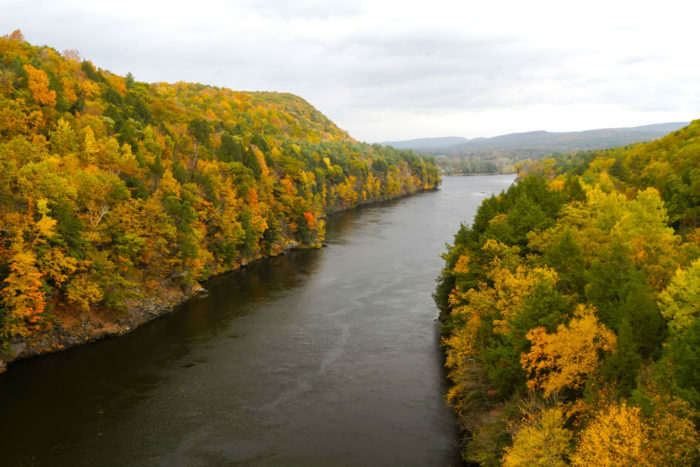 It takes you through the Berkshire foothills and past natural features like sheer cliffs and mounds of mossy boulders. 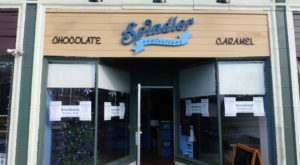 You’ll also have the opportunity to stop off in the town of Lee to grab a snack and check out the community’s many historic buildings. 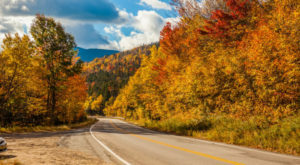 What’s your favorite scenic road in Massachusetts? Share in the comments! If you love exploring this state’s natural wonders, be sure to join our Massachusetts Nature Lovers Facebook group for more inspiration and your chance to have a photo featured!